In the heart of Colorado, colors are available and delight the eyes. The whole range of ochres from yellow, red, orange, brown, green and purple is represented. 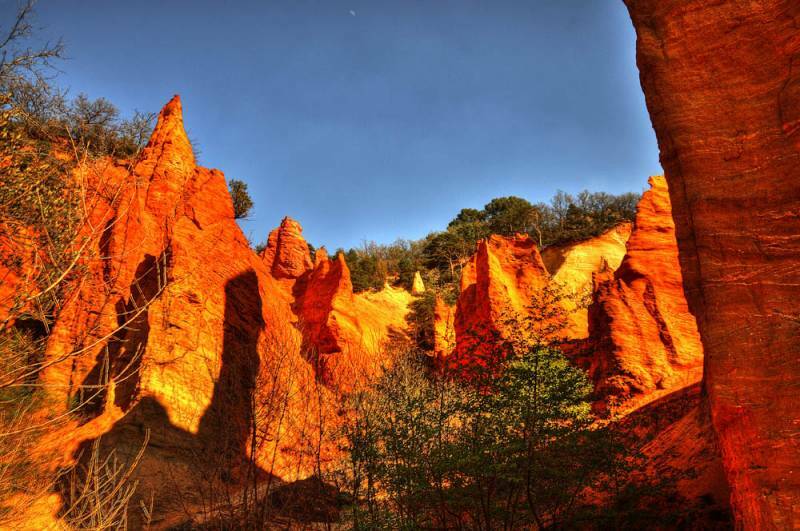 The landscape (cliffs, cirques, chimneys and hills) is the result of the exploitation of ochre that has been taking place in the region since the 18th century. Gradually abandoned, the quarries now form a magnificent site, appreciated for walking and hiking. You have the choice: free walk or guided tour.